Located within the Under Secretary for Political Affairs for the US Department of State, the Bureau of International Narcotics and Law Enforcement Affairs (INL) is charged with combating the worldwide drug trade and other major crimes through programs involving other federal agencies and national governments. Despite its name, INL is not a true law enforcement agency, operating instead as a source of funding to assist law enforcement personnel, either in the US or other countries. No longer is it strictly an anti-narcotics office, working on other serious cross-border crimes such human trafficking. However, anti-drug operations are still the dominant mission of the bureau. These operations, as well as its efforts to help stabilize Iraq, have resulted in the INL becoming a focal point of controversy in recent years. The federal government’s efforts to combat illicit drugs began in the wake of the 1960s when recreational drug use became popular among Baby Boomers. In 1968, the administration of Lyndon Johnson consolidated the mission of several federal offices into the newly established Bureau of Narcotics and Dangerous Drugs (BNDD) within the US Justice Department. Despite this attempt to diminish turf wars between federal agencies, tensions continued between the BNDD and the US Customs Service over which department should lead the fight against illegal drugs entering the US. A year later Customs took the extraordinary step of subjecting every car trying to enter the US from Mexico to a three-minute inspection in order to curb marijuana smuggling. Dubbed Operation Intercept, the action essentially closed the Mexican border. The operation lasted two weeks, caused economic havoc on both sides of the border and did little to seriously impact the flow of marijuana into the US. Operation Intercept represented the first move by the Nixon administration to have the federal government take a more active role in stopping the drug problem among Americans. Over the next four years, the administration embarked on policy decisions that attempted to tackle both the supply and demand side of the drug trade. In 1970 the Narcotics Treatment Administration was founded to fund a methadone program in Washington, DC, run by Dr. Robert DuPont. The program sparked controversy because some believed methadone was nothing more than a substitute for heroin, while other critics felt there were racial undertones behind the effort. Nevertheless, one year after the program began, burglaries in DC decreased by 41%. That same year, Congress passed the Comprehensive Drug Abuse Prevention and Control Act, consolidating previous drug laws and reducing penalties for marijuana possession. The legislation included the Controlled Substances Act, which established five categories, or “schedules,” for regulating drugs based on their medicinal value and potential for addiction. In 1971 President Nixon declared drug abuse “public enemy number one in the United States” and announced the creation of the Special Action Office for Drug Abuse Prevention (SAODAP), headed by Dr. Jerome Jaffe, a leading methadone treatment specialist. For a brief time during the Nixon era, the majority of federal anti-drug funding was directed towards treatment, rather than law enforcement. However, this soon changed as the administration began devoting more resources to go after drug suppliers. The Office of Drug Abuse Law Enforcement (ODALE) established joint federal/local task forces to fight the drug trade at the street level, followed by the creation of the Drug Enforcement Administration (DEA) in 1973. DEA was set up to handle all aspects of the drug problem, consolidating anti-drug operations by BNDD, Customs, the CIA and ODALE. In spite of these decisions, drug use, especially cocaine, continued to rise in the US. When President Jimmy Carter first came into office, his administration was not seriously concerned about cracking down on drug users. In fact, Carter campaigned in favor of relinquishing federal criminal penalties for possession of up to one ounce of marijuana. Later, Carter’s drug czar, Dr. Peter Bourne, said neither marijuana nor cocaine posed a serious public health threat. Two years later the administration began to look differently at the flow of illegal drugs into the US as violence stemming from drug cartels began garnering more attention. Recognizing the increased internationalization of drug-related crime, the State Department in 1978 created the Bureau of International Narcotics Matters (INM). The new bureau was charged with supporting police activities against the drug trade across the globe. INM helped fund anti-drug operations in Latin America during the 1980s to stem the drug tide into the US. With the launching of the “war on drugs” by President Ronald Reagan, and first lady Nancy, INM worked unsuccessfully to end the flow of cocaine from Colombia, where drug lords lead by Pablo Escobar earned fortunes off American appetites for the drug. By the 1990s operations involving the DEA, US Special Forces and Colombian law enforcement managed to destroy the two major drug cartels based in Colombia. With the election of President Bill Clinton, the federal government placed less emphasis on international drug busts. In 1993 President Clinton signed Presidential Decision Directive (PDD) 14, which expanded the mission of INM to help law enforcement battle crimes other than those directly related to drug trafficking. PDD 14 directed INM to focus on money laundering, international traffic in stolen vehicles, sales of arms and other contraband and smuggling of illegal aliens, among other crimes. The change in mission led to a change in name as well. 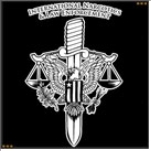 In 1995, INM became the Bureau of International Narcotics and Law Enforcement Affairs. Located within the domain of the Under Secretary for Political Affairs for the US Department of State, the Bureau of International Narcotics and Law Enforcement Affairs (INL) is charged with combating the worldwide drug trade and other major crimes through programs involving other federal agencies and national governments. US government offices that INL works with include the US Agency for International Development, the departments of Justice, Treasury, Commerce, Homeland Security and Defense, as well as the DEA, FBI and the Coast Guard. Despite its name, INL is not a true law enforcement agency, operating instead as a source of funding to assist law enforcement personnel, either in the US or in other countries. Its mission has expanded since its founding. No longer is it strictly an anti-narcotics office; now it works as well on other serious cross-border crimes such human trafficking. However, anti-drug operations are still the dominant mission of the bureau; funding for programs that combat drug trafficking still account for more than half of INL’s budget. In spite of INL’s efforts, poppy cultivation rose in Afghanistan in 2006 due to a “deteriorating security situation primarily in southern Afghanistan,” according to the bureau. Things were still troubling in 2007 as Afghanistan’s “elimination/eradication program still faces many challenges in achieving long-term success.” INL is helping local officials attack the problem of poor farmers turning to poppy production to earn a living through the Poppy Elimination Program (PEP), which is staffed by Afghan members of the Ministry of Counter Narcotics and supported by INL. Outreach efforts also are being tried through radio, television, print materials and community organizations to convince locals not to grow the crop. INL claims such efforts have helped lower poppy growing in the northern part of the country. In addition to program advising, INL has leased aircraft and Huey helicopters to transport poppy elimination teams. Interdiction efforts involve DEA agents working closely with the Counternarcotics Police of Afghanistan. In 2006 the first ever arrest warrant was authorized under the new Afghanistan Drug Law, and Haji Baz Mohammed, a major Afghan trafficker, who was the first Afghan extradited to the United States, pled guilty to conspiracy to import heroin to the United States. As INL notes, combating the drug trade in Afghanistan is critical to the mission of creating stability in the country, as is strengthening the borders of its neighboring states. Sharing a rugged 1,500-mile border with Afghanistan, Pakistan has been a safe haven for traffickers attempting to move arms, persons and narcotics through desolate, poorly policed areas. INL assists through the Border Security Program involving helicopters and fixed-wing aircraft to provide surveillance capability, border outposts and road construction, patrol vehicles, communications equipment and training to address this vulnerability. INL assistance also provides law enforcement agencies with training, equipment and managerial reforms. INL considers its drug programs in Asia and Latin America “core targets” where the strategy focuses on strengthening a country’s abilities to fight international drugs and crime. “It is a long-term approach to create competent and honest counternarcotics and anticrime forces in countries where laws and institutions are weak. The strategy also supports efforts by multilateral organizations to reduce drug crop production in those major growing areas where our access is limited,” INL stated in its FY 2008 budget request. “The budget places special attention on anti-corruption, money laundering and financial crimes” - all crimes heavily associated with the drug trade. INL's counter-narcotics and criminal justice building programs are focused on Afghanistan and on the Andean Region in South America, the world's primary source of the heroin and cocaine, respectively. INL targets criminal gangs from Central America and Mexico, and it is also giving increased attention the entry of synthetic drugs via the Western Hemisphere into the United States, particularly Mexico, which is a source country for methamphetamines as well as heroin and marijuana. INL’s $725 million Andean Counterdrug Initiative (ACI) is the single largest program in the bureau’s budget. In 2006, the bureau claims that seven ACI countries “made good progress against drug trafficking.” The government of Colombia set new records in eradication and interdiction, shutdown one of the country’s three narco-terrorist groups and exposed “narco-penetration of the government and public institutions.” In Peru, the government reportedly exceeded its eradication goals. However, Peru's cocaine industry, the world's largest and most violent in the late 1980s and early 1990s, is again on the upswing. Plots of coca bushes, whose leaves yield cocaine, have increased by about one-third since 1999, to about 127,000 acres, according to Peruvian and United Nations estimates. The problem: Anti-drug efforts in neighboring Colombia are pushing the cocaine business back across the border. More information on ACI countries can be found here. Other anti-drug activities by INL include the Narcotics Certification Process. As required by the Foreign Relations Authorization Act of 2002-2003, the President must submit a report annually to Congress identifying all major illicit drug producing and drug-transit countries (the Majors list) and designate those countries that have “failed demonstrably” to stop the flow of illegal drugs over their borders. Those that fail are subject to losing US foreign aid as well as American support on multilateral development banks. In September 2007 INL listed these countries on the Majors list in 2007: Afghanistan, the Bahamas, Bolivia, Brazil, Burma, Colombia, the Dominican Republic, Ecuador, Guatemala, Haiti, India, Jamaica, Laos, Mexico, Nigeria, Pakistan, Panama, Paraguay, Peru and Venezuela. In addition to publishing the Majors list, INL produces the annual International Narcotics Control Strategy Report, a country-by-country two volume report that describes the efforts to attack all aspects of the international drug trade, chemical control, money laundering and financial crimes. INL operates several programs designed to bolster law enforcement operations in other countries. Through its International Civilian Police Program (CivPol), the bureau recruits US police officers from all over the country to participate in international civilian police activities and local police development programs in countries around the world. This includes sending police officers from over 50 countries (including 700 from the US) to support international peacekeeping operations. CivPol programs most often are sponsored by the United Nations but also can be sponsored by regional security organizations such as the Organization for Security and Cooperation in Europe (OSCE). INL has helped rebuild the national police force of Afghanistan by providing training to more than 60,000 police including nearly 6,000 border police at the Central Training Center in Kabul and seven Regional Training Centers. The bureau has deployed approximately 100 US law enforcement officers to train and mentor local Afghan police, and it has implemented a new Ministry of Interior reform project that reorganizes the pay and rank of the Afghan Police. INL has also helped reform and support the Afghan Attorney General's Office by supporting a team of legal reform advisors who are working with Afghan police, prosecutors, courts, defense and prisons personnel to improve management and efficiency of the criminal justice system. In Iraq, INL is managing a billion dollar program to rebuild the Iraqi police force. It has deployed 750 police advisers and trainers and trained over 35,000 Iraqi police. It should be noted, however, that 12,000 Iraqi police have been killed since the US invasion in 2003, many from terrorist attacks targeting new recruits. INL established International Police Center in Jordan, with two hundred trainers from 16 countries and 100 American trainers, to turn out 3,000 graduates every eight weeks. In addition to Jordan, INL has created five International Law Enforcement Academies (ILEAs) in Hungary, Thailand, Botswana, New Mexico and El Salvador that have trained over 28,000 officials from over 75 countries, including over 2,700 officials trained in 2006. ILEAs teach law enforcement personnel in ways to combat terrorism, terrorist financing, organized crime, cyber crimes and human trafficking. INL currently deploys more than 1,000 police and corrections advisors and justice experts in eight countries, including over 300 uniformed and armed US police, to conduct law enforcement operations in UN peacekeeping missions in Kosovo and Haiti, and unarmed missions in Haiti, Liberia and Sudan. INL continues to implement programs that have helped train and equip 7,300 members of the new Kosovo Police Service as well as provide training for the 3,000-member East Timor Police Service. Programs in Liberia provide mentoring, training and technical assistance for the 3,500-member Liberian police service and court system. Out of its billion-dollar annual budget, INL spends approximately $14 million to support efforts against money laundering, corruption, alien smuggling, border security and various intellectual property theft and cyber-related threats. Border security programs include bolstering the counterterrorism staff of the Organization of American States to provide police training to port and airport police and private security officials. Programs aimed at financial crimes and money laundering have had an increasing emphasis on terrorist financing. INL has assisted in the development of Trade Transparency Units (TTUs) to detect trade-based money laundering and customs fraud in Colombia, Brazil and Argentina. INL also supports the multilateral Financial Action Task Force (FATF) that has added a special set of anti-terrorist financing recommendations. INL’s Human Smuggling and Trafficking Center brings together federal officials from different agencies to thwart alien smuggling, trafficking in persons and criminal support of clandestine terrorist travel. It also works to counter international insurance fraud, such as that involving international car-theft rings operating in the United States. Often cars stolen are leased vehicles, and the owner, rather than turn in the car and pay a large fee for driving it too many miles, arranges to have it stolen, and collects the insurance money along with a fee from the car-theft ring. INL has issued warnings against advance fee-business-scams, many of which originate in Nigeria and other parts of west Africa and that typically involve a fax or e-mail requesting assistance in transferring a large amount of money. In another advisory, INL counseled Americans traveling abroad never to get involved in drug smuggling, stating there is little US diplomats can do for a jailed American other than to ensure that he or she will be treated in accordance with local law which in many cases is far more severe and restrictive of individual rights than US law. Like the State Department’s Bureau of Diplomatic Security, INL relies on private security contractors to help carry out the bureau’s mission. One of the largest recipients of INL funds is DynCorp International, which has made substantial contributions to the Republican Party. Formed in 1946 to provide support and services to US military aircraft and weapons systems under Air Force contracts, DynCorp was acquired by Computer Sciences Corporation (CSC) in 2003 and now has nearly 14,000 employees in 30 countries. That same year, DynCorp was awarded a $22 million no-bid contract by INL to “re-establish police, justice, and prison functions in post conflict Iraq.” Since then DynCorp has deployed hundreds of security personnel to provide police training and related services in Iraq. DynCorp also has been hired by INL to assist with the training of Palestinian security forces. The company was responsible for providing training manuals which were late in arriving. This gaffe was just one among many blunders by DynCorp that received media scrutiny (see Controversies). Likewise, the Office of Budget and Management (OMB) found fault with INL’s operations. An OMB assessment stated INL “lacks sufficient resource oversight and financial management systems,” and it questioned the effectiveness of the bureau’s counter-narcotic programs. In 2003 INL awarded DynCorp a $22 million no-bid contract to train and build a new Iraqi police force using facilities in Jordan. As part of the contract, DynCorp was to deploy hundreds of police trainers to instruct more than 150,000 Iraqi police officers. State Department officials said it had improved monitoring of DynCorp, but in a letter to OIG admitted it would still take three to five years to reconcile fully the payments made to the company during the first two years of the training contract. Also INL officials reported that DynCorp had purchased a $1.8 million X-ray scanner that was never used and spent $387,000 to house company officials in hotels rather than in existing living facilities. Then, later, officials said those costs were actually incurred in Afghanistan. Thomas Schweich, the one-time acting director of INL, said the bureau had increased staffing, adding that his office had sent three more employees to Iraq to oversee the police training. The news about DynCorp’s contract was followed by details of a shooting of an Iraqi civilian by one of the company’s guards. The shooting occurred when a man driving a white sedan drove too close to a convoy guarded by DynCorp security personnel who fired on the car, killing the driver. An Iraqi police officer called the shooting unprovoked and unjustified. The company also was singled out for failing to adequately train members of the Palestinian security forces. In 2003 the Bush administration declared that building an effective Palestinian security force was essential to counter Hamas, the armed Palestinian faction that controls the Gaza Strip. But the training was wrought with problems, including the late delivery of manuals that were printed in English, even though most of the trainees understand only Arabic. In 2003 the bureau’s director, Assistant Secretary of State Bobby Charles, advocated for the use of aerial spraying to combat poppy production in Afghanistan. Charles warned that the drug problem in the country was threatening to “devour” the Afghan government. Charles wanted to use a version of Roundup to kill poppy plants, claiming the pesticide was safe to use. Afghanistan officials refused to accept the idea, and eventually INL backed off. In the fall of 2007, the Bush administration asked Congress to authorize the sending of $1.4 billion worth of equipment to Mexico and six South American nations to combat drug cartels. The proposal included communications equipment that INL would send to help track drug leaders. But members of a House committee attacked the plan, arguing it was time to spend more to “curb the appetite” for drugs. Committee members also cited concerns about corrupt Mexican military and police who might misuse equipment. Among the equipment to be sent to Mexico were helicopters for use in training military personnel. 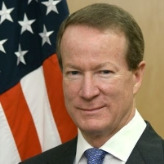 William R. Brownfield was nominated Assistant Secretary for the Bureau of International Narcotics and Law Enforcement Affairs (INL) on September 22, 2010. In this post, Brownfield advises top federal officials, including the President and the Secretary of State, on efforts to thwart global crime and narcotics. Born in Lubbock, Texas, in 1952, Brownfield is a 1970 graduate of St. Andrew’s Episcopal School in Austin. He earned his B.A. from Cornell University in 1974 and attended the University of Texas School of Law from 1976 to 1978. Brownfield started a Foreign Service career with a posting to the U.S. Consulate in Maracaibo, Venezuela in 1979. In 1981 be began two years as political officer in El Salvador, during a period of civil war, in which the administration of President Ronald Reagan supported the Salvadoran military dictatorship. Brownfield also served as political officer in Argentina from 1986 to1989, and as Political Advisor to the Commander-In-Chief, U.S. Southern Command in Panama from 1989 to 1990, during which time the U.S. invaded Panama. He worked as Director of Policy and Coordination at the INL from 1993 until 1995. After serving as Executive Assistant in the Bureau of Inter-American Affairs, he returned to the INL from 1998 to 1999. He then served as Special Assistant to the Under Secretary for Political Affairs and, from 1999 to 2001, Deputy Assistant Secretary of State for the Bureau of Western Hemisphere Affairs. He served as Ambassador to Chile from 2002 to 2004, Ambassador to Venezuela from 2004 to 2007, and Ambassador to Colombia from 2007 to 2010. Brownfield’s wife is Kristie Kenney, the current U.S. Ambassador to Thailand, and former Ambassador to Ecuador and the Philippines. 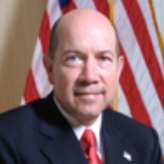 A native of Georgia, David T. Johnson has served since October 2007 as the assistant secretary for the Bureau of International Narcotics and Law Enforcement Affairs. In this capacity, Johnson oversees the Andean Counterdrug Initiative. Johnson earned a bachelor’s in economics from Emory University in 1976 and later attended Canada's National Defense College in 1989-1990. Before joining the Foreign Service in 1977, he was an assistant national trust examiner with the US Treasury Department’s Office of the Comptroller of the Currency. Johnson has worked in the State Department on European security issues and as desk officer for Berlin, Austria, and Switzerland; an economic officer at the US Embassy in Berlin; and a vice consul at the US Consulate General in Ciudad Juarez. He also served as a member of the US Delegation to the Vienna Follow-up Meeting of the Conference on Security and Cooperation in Europe; deputy director of the State Department’s Operations Center; US Consul General in Vancouver; and as deputy spokesman at the State Department and director of the State Department Press Office. Johnson was deputy press secretary for foreign affairs at the White House and spokesman for the National Security Council from 1995 to 1997. He served as US Ambassador to the Organization for Security and Cooperation in Europe (OSCE) from January 1998 until December 2001 and as the Afghan Coordinator for the United States from May 2002 to July 2003. In that capacity, he was responsible for all aspects of US policy toward Afghanistan. Johnson then served as deputy chief of mission for the US Embassy in London from August 2003 until July 2007.